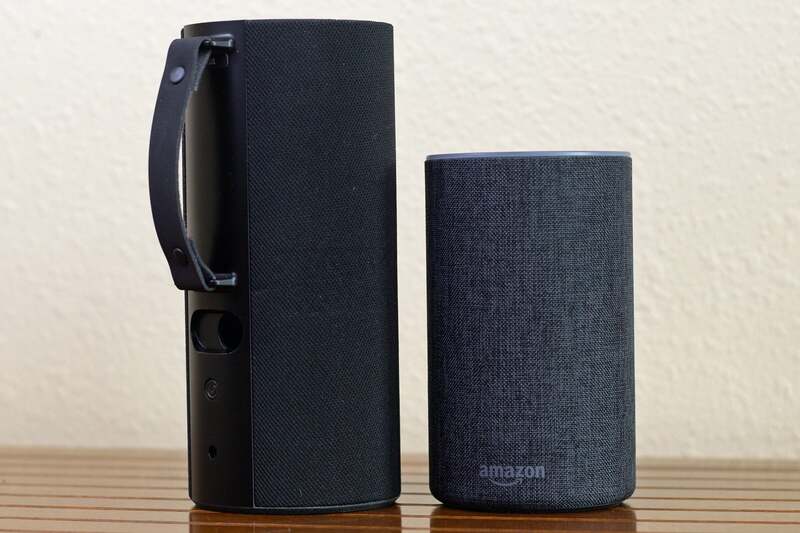 Amazon’s decision to design its second-generation Amazon Echo smart speaker with a removable sleeve makes the device customizable. But there’s a hidden feature I wasn’t aware of until I installed Ninety7’s Sky Tote Portable Battery Base: a set of electrical contacts tucked behind a rubber plug on the bottom of the speaker. These contacts enable the Echo 2 to draw power directly from the Sky Tote’s large battery, which is charged in turn by the AC adapter that comes with the Echo 2. 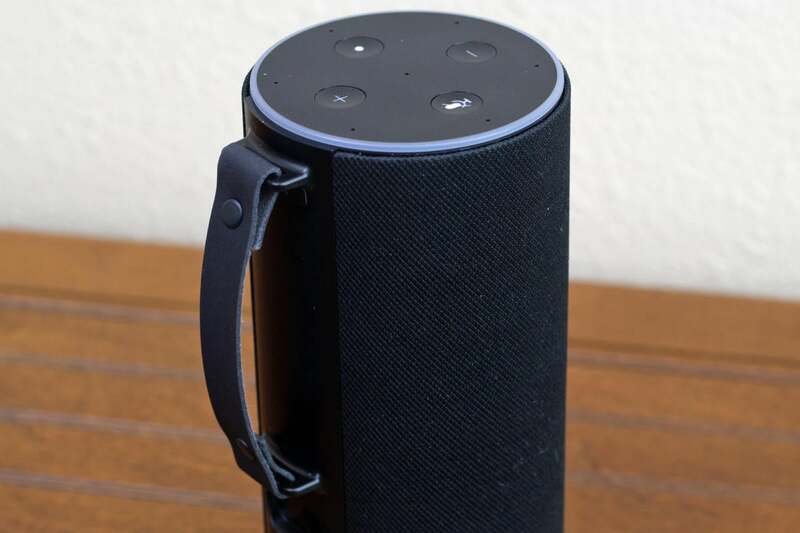 Operating your Echo 2 on battery power allows you to take the smart speaker with you into any room in your home or even into the yard if your Wi-Fi network is strong enough to reach there. That’s a much less expensive alternative to putting an Echo in every room for smart home control, or investing in a multi-room audio system so you can listen to music everywhere. You can also take a battery-powered Echo 2 on picnics and camping trips if you create a mobile hotspot with your smartphone. Ninety7 says you can expect to get eight hours of battery life, a claim I didn’t attempt to validate, but continuously playing music on the speaker is likely to reduce that time. 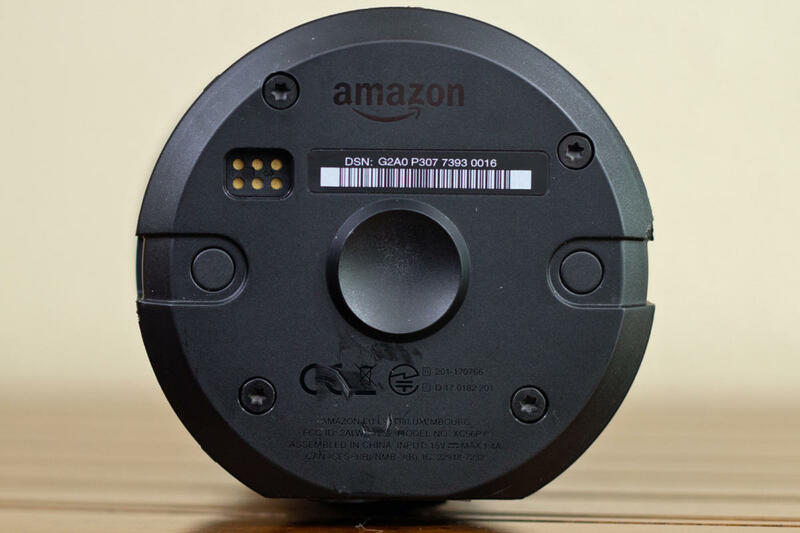 You’ll need to pull off a rubber cover to expose these electrical contacts on the bottom of the second-gen Amazon Echo. 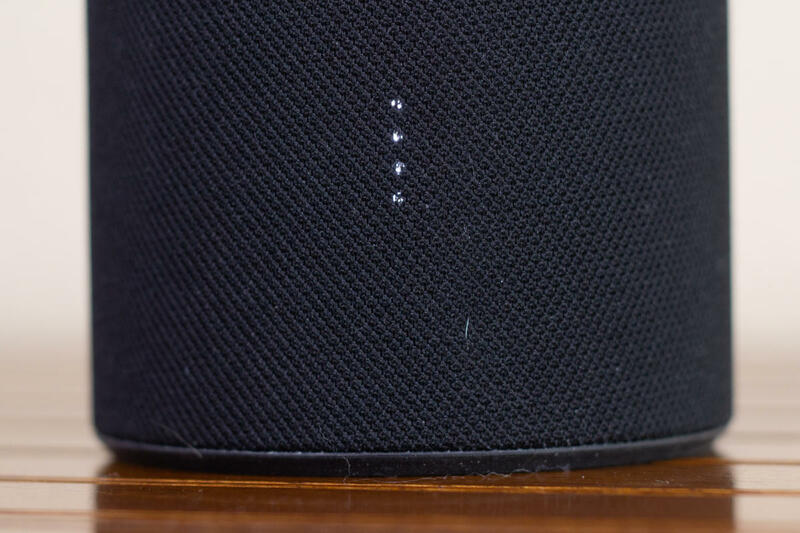 Removing the Echo 2 from its sleeve is a simple matter of pushing a button on the bottom center of the speaker while pulling on the sleeve itself. Ninety7 provides a plastic guitar pick to pry the rubber cover off the Echo 2’s electrical contacts, but I found that tool ineffective and ended up using a flat-blade micro screwdriver for the job. You’ll want to retain this cover in case you ever decide to switch back to a normal sleeve (Amazon offers its sleeves in four fabrics and two faux wood finishes, whereas the Sky Tote is available only in a black fabric). Mating the Echo 2 to the Sky Tote requires precise alignment—get it wrong, and you’ll have a very tough time pulling the speaker back out again for a second attempt. And it’s critical that the alignment is spot on, both because the battery base provides power via those electrical contacts and because there are cutouts in the base for the Echo’s power adapter and its auxiliary audio output. Ninety7’s brief user manual isn’t a lot of help on this score, offering just one diagram and a single explanatory sentence. The Sky Tote adds just a couple of inches of height to the second-gen Amazon Echo. I found that the best approach is to align the plastic strip on the Echo 2 with the handle on the battery base and then slide the speaker down into the base. But before you seat the speaker all the way down into the base, twist it left and right. If you feel a stop with each turn, you know the speaker is properly aligned and you can give it a firm shove to send it the rest of the way home. And you’ll know the speaker is properly seated when you push the power button on the battery base and the Echo lights up. If it doesn’t, push the button on the base to release the speaker and try it again. The Sky Tote is the nearly same diameter as the second-gen Amazon Echo’s sleeve, with the same type of silicone pad on its bottom. The battery pack adds less than 2.5 inches to the speaker’s height. It’s covered in a woven cloth that’s very similar to Amazon’s sleeve, and while the speaker’s grill ends up a couple of inches higher from whatever surface you rest it on, the design doesn’t change the speaker’s acoustic characteristics in any appreciable fashion. Four LEDs on the Sky Tote report on the state of its battery. A set of four LEDs in the front of the base glow to indicate the current battery level. A power button on the back of the base lets you shut down the speaker to preserve battery life when you don’t need it, or you can leave it plugged into the wall. On that score, I think the Fabriq Chorus, an Alexa-powered smart speaker not made by Amazon, offers a better approach. 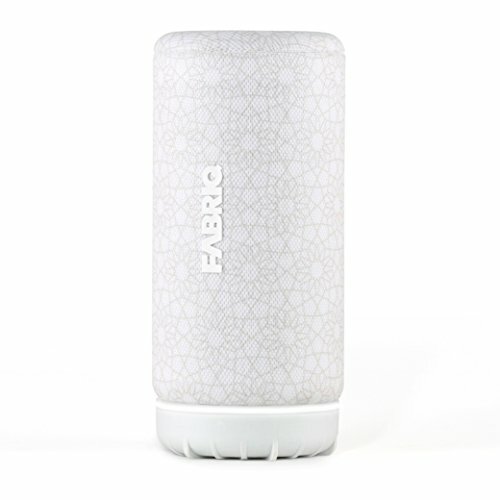 The Fabriq speaker has a built-in battery that promises six hours, but it has a charging base that you can leave plugged in all the time. So, when you want to take the speaker with you, you simply lift it off its base and go. Better yet, it costs the same as the second-generation Echo (and of course no aftermarket battery base is required). If you already own a second-generation Amazon Echo, and you want the added flexibility of battery power, Ninety7’s Sky Tote is a worthwhile investment. If you’re just looking for a portable speaker for listening to music, on the other hand, the $160 that these two components cost together would be better spent on a $160 Bluetooth speaker (and if you can squeeze another $20 from your budget, the $180 JBL Xtreme 2 is a great choice). A $50 investment lets you take your second-gen Amazon Echo smart speaker with you everywhere. But if what you really want is music with you everywhere, a battery-powered Bluetooth speaker is a better solution.